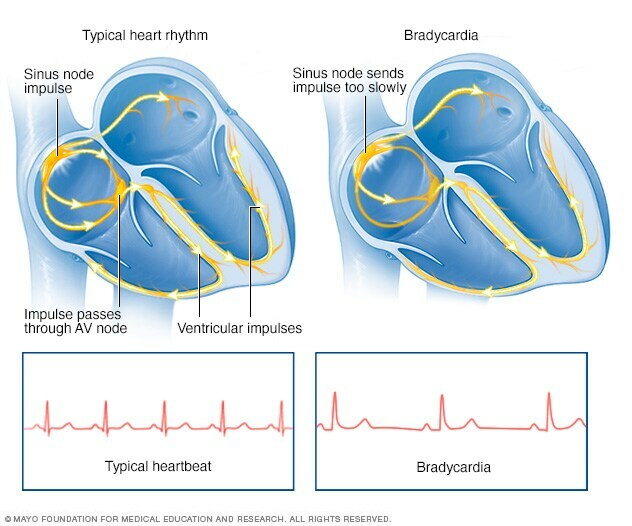 Bradycardia, shown on the right, is a slower heart rhythm that may occur because the sinus node in the heart may be discharging electrical impulses at a slower than normal rate. A heart with a normal heart rhythm is shown on the left. Bradycardia may also be due to other causes.